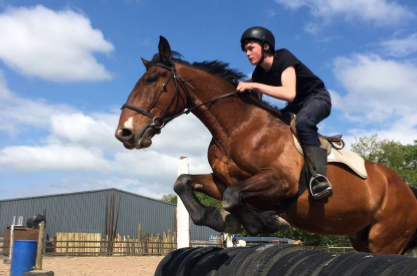 A Moyross teenager has earned a place working in the Irish racing industry’s heartland after taking part in an animal welfare project. Lee Quinn of Pineview is now working at the Racing Academy and Centre of Education (RACE) in Kildare after participating in a program developed by the Moyross regeneration office. “My friend went to RACE to become a jockey, that’s what I wanted to be,” Lee said. He was given a place on the program through the Garda Youth Division (GYD) after showing his interest in taking part. Following work experience at top trainer Jim Bolger’s yard in Carlow and at Leopardstown race course, Lee tried for a place in RACE for the second time in 2016. The initiative, referred to as ‘The Academy’ aims to teach the importance of horse welfare, directing kids towards careers in the industry while also giving them an education. Speaking on the funding the scheme has recently received from the Department of Agriculture, Andrew said it will give more focus to the project and more time can be devoted to eventually expanding it across the city. Michael O’Kelly, of the Regeneration Office in Moyross says it is best to get the kids involved at a young age as it incentivises them. Both primary and secondary schools in the north of the city have been included in the plans. Two more students are set to follow in Lee’s footsteps this year. “We can see the benefit that this project is having on lads that might have gone down a particular road. It’s not about a numbers game, if only a few lads go down a different road with this then I think that’s unbelievable.” Michael added.